One of the most prominent themes throughout the Bible is the reign of God. The framework of Israel’s existence and self-understanding was formulated from God’s covenant with Israel and Israel’s servant to God the King. Israel is the people of the king, and the holy land is the land of the king’s rule. Given the Messiah is supposed to be the ideal representative of his people, He has a kingly role as well. Let’s look at some of the messianic texts in the Tanakh that speak about the kingly role of the Messiah. While God promised that Israel would have an earthly king (Gen. 17: 6; 49:6; Deut.17: 14-15), he also promised David that one of his descendants would rule on his throne forever (2 Sam.7:12-17; 1 Chr.17:7-15; Ps.89:28-37). In other words, David’s line would eventually culminate in the birth of a person whose eternality will guarantee David’s dynasty, kingdom, and throne forever. As seen in 2 Sam. 7:1-4, David wanted to build a “house” (or Temple) for the Lord in Jerusalem. God’s response to David was one of rejection. The desire for the restoration of the Davidic dynasty became even more fervent after the united kingdom of the Israelites split into two kingdoms, Israel and Judah, at the time of King Rehoboam. A shoot will come up from the stump of Jesse [David’s family], from his roots a Branch will bear fruit. The Spirit of the LORD will rest on him [an “anointing”] — the Spirit of wisdom and of understanding, the Spirit of counsel and of might, the Spirit of knowledge and fear of the LORD — and he will delight in the fear of the LORD. He will not judge by what he sees with his eyes or decide by what he hears with his ears, but with righteousness he will judge the needy, with justice he will give decisions for the poor of the earth. . . . In that day the Root of Jesse will stand as a banner for the peoples; the nations will rally to him. (Isaiah 11:1 – 10). Has there ever been any Jewish person who fits these words, having begun a world religion of Gentiles? With the backdrop of Genesis 12:1-3 in mind, we see in Isaiah 49:6 that the enlarged mission to the Gentiles climaxes the Servant’s commission from God—“I will also make you a light for the Gentiles, that you may bring my salvation to the ends of the earth” (v. 6b). “Light” is here parallel with “salvation” (cf. Isa. 42:6). How does one calculate the probability that a Jewish person would found a world religion that mostly consists of non-Jewish people. “In that day the Root of Jesse will stand as a banner for the peoples; the nations will rally to him, and his resting place will be glorious. In that day the Lord will reach out his hand a second time to reclaim the surviving remnant of his people from Assyria, from Lower Egypt, from Upper Egypt, from Cush, from Elam, from Babylonia,from Hamath and from the islands of the Mediterranean. He will raise a banner for the nations and gather the exiles of Israel; he will assemble the scattered people of Judah from the four quarters of the earth. Ephraim’s jealousy will vanish, and Judah’s enemies will be destroyed; Ephraim will not be jealous of Judah, nor Judah hostile toward Ephraim. They will swoop down on the slopes of Philistia to the west; together they will plunder the people to the east. They will subdue Edom and Moab, and the Ammonites will be subject to them. The Lord will dry up the gulf of the Egyptian sea; with a scorching wind he will sweep his hand over the Euphrates River. He will break it up into seven streams so that anyone can cross over in sandals. There will be a highway for the remnant of his people that is left from Assyria, as there was for Israel when they came up from Egypt.” –Isa. 11: 10-16. It doesn’t take a rocket scientist to realize none of this has taken place yet. Every prophecy in the Tanakh has an immediate context. For the audience in Isaiah’s time, a prophecy about a Davidic King would be worthless if that is something coming hundreds of years later. They needed a hope at that time. So when Isaiah writes it, there is a type. Hence, it is a literal Davidic king at that time period. In observing the immediate context of this passage, one might assert that this passage is referring to Hezekiah’s reign. But it is pointing to the anti-type, the literal Davidic King (the Messiah). This passage speaks to the everlasting rule of the Davidic King. The figure is called “Wonderful Counselor” (Pele-Yoeitz) which is used only of God and what God does. This is never used of what God does. “Mighty God” (El-Gibbor) is never used of a mere man. We read in Isaiah 10:21 that “A remnant will return, the remnant of Jacob, to the mighty God.” The word ‘el’ always refers to a deity. “Everlasting Father”- “Father” is here in a pre-Trinitarian sense. Jesus is not literally the Father but he can play the role of a Father in that he cares, protects, etc. “Prince of Peace”- is sometimes used of men in the Hebrew text. In Isaiah, the work of peace is of God only. The significance of this passage is the phrase “there will be no end.” In observing the immediate context of this passage, one might assert that this passage is referring to Hezekiah’s reign. This assertion is problematic since Hezekiah’s reign was one that was rather limited in an international sense. 1. Psalm 2 should be read as a coronation hymn, (similar to 2 Kings 11:12) and today marks the moment of the king’s crowning. 2. God tells the person to whom he is speaking that He is turning over the dominion and the authority of the entire world to Him (v 8). 3. David did have conquest of all the nations (Edom, Moab, Ammon, Philistia, Amalek, etc-1 Chron. 14:17; 18:11). 4. Vs 11-12: One day God will subjugate all the nations to the rule of the Davidic throne. Psalm 89 is another royal Psalm. 1. The Davidic King will be elevated over the rivers and seas (v.24- 25). 2. Just as God is the most exalted ruler in heaven (vv.6-9), the Davidic King is the most exalted ruler on earth (v. 27). 3. The Davidic King will be the “firstborn” and enjoy the highest rank among all earthly kings. 4. God promises to establish David’s throne and continue his dynasty from one generation to the next for perpetuity (vv.28-29). The plural word “nations” rather than singular suggests that Jacob had a view of Kingship that extended beyond the boundaries of the Israelites to include other nations as well. In any case, later biblical writers were apparently guided by texts in formulating their view of the universal reign of the future of the Davidic king. For example, “Psalm 2:8 “Ask of me, and I will make the nations your inheritance”; Daniel 7:13-14, “There was one like a son of man, he was given authority, glory and sovereign power; all peoples, nations, and men of every language worshiped him.” (see John H. Sailhamer, The Pentateuch As Narrative A Biblical-Theological Commentary (Grand Zondervan, 1995), 235. But the day of the Lord will come like a thief. The heavens will disappear with a roar; the elements will be destroyed by fire, and the earth and everything in it will be laid bare. Since everything will be destroyed in this way, what kind of people ought you to be? You ought to live holy and godly lives as you look forward to the day of God and speed its coming. That day will bring about the destruction of the heavens by fire, and the elements will melt in the heat (2 Peter 3:10-12). What did Jesus mean when he said, “My Kingdom is not of this world”? Alvin McClain offers three elements to a biblical definition of kingdom: First, there is a ruler with adequate authority and power; Second, a realm of subjects to be ruled; Third, the actual exercise of the function of the rulership. God’s kingdom is also called the kingdom of heaven (Matt 3:2;10:7), My Father’s kingdom (Matt 26:29), the kingdom of God’s dear Son (Col 1:12). The term “kingdom of God” is absent from the Tanakh (the Old Testament). However, the God of Israel is identified as King: (1 Samuel 12:12; Psalm 24:10; Isa 33:22; Zeph 3:15; Zech 14:16-17), as ruler over Israel (Exod 15:18; Num 23; 21; Deut 33:5; Isa 43:15), and ruler over the entire creation (2 Kings 19:15; Isa 6:5; Jer 46:18; Psalm 10; 47:2; 93; 96:10; 145:11,13). The God of Israel also possesses a royal throne (Psalm.9:4; 45:6; 47:8; Isa 6:1; 66:1; Ezek 1:26); His reign is ongoing (Psalm10:16; 146:10; Isa 24:23), and rule and kingship belong to Him (Psalm 22:28). Bruce Waltke notes that the phrase “kingdom of the Lord” occurs in various forms and in only fifteen isolated texts (Ps.22, 103, 145; once in Obadiah; four times in Chronicles; and seven times in Daniel). In the face of human rebellion and sin, God continued to assert His kingship and He continued to use Israel as a vehicle for the kingdom. We see in the Tanakh that in an eschatological sense, God’s sovereignty is not universally accepted, but it will happen in the future (Zech 14 1-9; Dan 7:13-14; 2 Sam 7:11-12; 16-17; Matt 19:28). The kingdom theme in the New Testament is part of the great cosmic battle and a reversal against sin and Satan. It is also the kingdom over which Jesus is currently ruling (1 Cor. 15:25; Rev 1:5-6) and is also tied to the ultimate realization of the kingdom in 1 Corinthians 15:26-28, where Paul describes the ultimate giving over of this same kingdom to the Father at the end.The New Testament authors identify Jesus in God’s presence and at His right hand (Acts 2:24-33; 5:31; 7:55-56; Eph.1:20-21; Col. 3:1; Heb. 1:3; 8:1; 10:12; 12:2; 2 Peter 3:22). By participating in God’s rule, Jesus is able to place all things in subjection under His feet. This theme, seen in the following New Testament passage exhibits that in early Jewish monotheism Jesus came to be recognized as ruling the cosmos from heaven: “Far above all rule and authority and power and dominion, and every name that is named, not only in this age but also in the one to come. And He put all things in subjection under His feet” (Eph. 1:21-22). While God promised that Israel would have an earthly king (Gen. 17: 6; 49:6; Deut.17: 14-15), the Davidic covenant established David as the king over all of Israel. Under David’s rule, there was the defeat of Israel’s enemies, the Philistines. David also captured Jerusalem and established his capital there (2 Sam. 1-6). As seen in 2 Sam. 7:1-4, David wanted to build a “house” (or Temple) for the Lord in Jerusalem. God’s response to David was one of rejection. However, God did make an unconditional promise to raise up a line of descendants from the house of David that would rule forever as the kings of Israel (2 Sam. 7:5-16; 1 Chr.17:7-15; Ps.89:28-37). The desire for the restoration of the Davidic dynasty became even more fervent after the united kingdom of the Israelites split into two kingdoms, Israel and Judah, at the time of King Rehoboam. 1. The Messianic King was presented at John’s baptism (Matt. 3:1-17). In other words, this is when He was consecrated for the messianic task. 2. The Messianic King presented His miracles as evidence of His messiahship: (Matt. 11:4–6; see also Lk. 7:22). The prophet Isaiah spoke of a time where miraculous deeds would be the sign of both the spiritual and physical deliverance of Israel (Is.26: 19; 29:18-19; 35:5-6; 42:18; 61:1). 2. The Messianic King was crucified (Isaiah 52: 13-53: 1-12). He then rose from the dead and ascended to the Father (1 Cor.15:1-17; Acts 1: 9-11). 3. Jesus’ current messianic work is a priest-advocate (1Jn. 2:2; Hebrews 7:1-27). 4. One day, Jesus will return and establish the earthly, national aspect of the kingdom of God. (Is. 9:6; Amos 9:11; Dan. 2:44; 7:13-14; 27; Is. 11:11-12; 24:23; Mic. 4:1-4; Zech.14:1-9; Matt. 26:63-64; Acts 1:6-11; 3:19-26). In other words, one day the Messiah will be King over His people (Matt. 19:28). Testament (Grand Rapids: Baker Books, 1995), 297. See Alvin J. McClain, The Greatness of the Kingdom (Winona Lake, IND: BHM, 1974). David Baker, Looking Into The Future: Evangelical Studies In Eschatology (Grand Rapids, Baker Books, 2001), 15. W.E. Vine, Merrill F Unger, and William White Jr., Vine’s Complete Expository Dictionary Of Old And New Testament Words (Nashville: Thomas Nelson Publishers, 1985), 344. J.J.M. Roberts, “In Defense of The Monarchy: The Contribution of Israelite Kingship to Biblical Theology” in Ancient Israelite Religions: Essays in Honor of Frank Moore Cross ed. Patrick D. Miller Jr. Paul D. Hanson, and S. Dan McBride (Philadelphia, Fortress, 1987), 178. See Scot McKnight. A New Vision For Israel: The Teachings of Jesus in National Context(Grand Rapids; Eerdmans, 1999), 70-155. The skeptical issue in our culture mostly enters into the religious dialogue in the following way: “In the case of God, who isn’t some material object but a divine being, what kind of evidence should we expect to find? There is a tendency to forget that the Bible stresses that sin can dampen the cognitive faculties that God has given us to find Him. Therefore, sin has damaging consequences on the knowing process (Is. 6:9-10; Zech. 7:11-12; Matt. 13:10-13). Christianity/Messianic Judaism, Tradtional Judaism, Islam, are all theistic faiths in contrast to pantheism (all is God), polytheism (many gods), and atheism (without God). One of the most important themes of the Bible is that since God is free and personal, that he acts on behalf of those whom he loves, and that his actions includes already within history, a partial disclosure of his nature, attributes, and intentions. But why the need for revelation? First, we need to know the character of God. Hence, we need a clear communication to establish the exact nature of God’s character. Who is God and what is He Like? Also, we need a revelation to understand the origin of evil. Thus, we need to be educated concerning the reasons for where we are at as a human race. Furthermore, without a clear revelation, people might think they are the result of a blind, naturalistic process instead of being created in the image of God. And without a clear revelation we wouldn’t know our destiny. The skeptic constantly assumes that if they could just see God directly or if God would give them an unmistakable sign that He is there, they would bow their knee and follow Him. Sadly, this is misguided on several levels. God declares, “You cannot see my face, for no one may see me and live” (Exodus 33:20). However, there seems to be other texts that indicate people did see God. Even in Exodus 33:11 Moses speaks to God “face to face.” Obviously, “face to face” is a figure of speech which means they were in close communion or conversation. Also, in Genesis 32:30, Jacob saw God appearing as an angel. But he did not truly see God. In Genesis 18:1, it says the Lord appeared to Abraham. Obviously, there are other cases where God appears in various forms. But this is not the same thing as seeing God directly with all His glory and holiness. It is evident that people can’t see God in all His fullness (Exodus 33:20). If they did, they would be destroyed. Yeshua is the ultimate revelation of God and he shows the world who God is (Heb. 1:1). What are the mediums that God chooses to reveal Himself to man? While God predominately revealed Himself to the Jewish people through specific actions in the course of human history, the Jewish people agree that the Torah was the pivotal moment of God’s supreme revelation to them. But what about the Gentile nations? After all, it is Israel that was given the Torah. The good news is God has also taken the initiative to reveal Himself to Gentiles through general or natural revelation. In the case of God, who isn’t some physical object but a divine, invisible being, we have to use induction. Induction is the method of drawing general conclusions from specific observations. For example, since we can’t observe gravity directly, we only observe its effects. In this passage, God’s knowledge is described as “eternal power and divine nature.” Paul lays out the basic principle of cause and effect. Paul says since God is the Designer (God is the cause), His “everlasting power and divinity” are obvious, “through the things that are made” (this is the effect). Romans Ch1:18: The word “suppress,” means “to consciously dismiss in the mind,”to “hold down”, or to “hold back by force or to dismiss.” However, that which is “suppressed” is not destroyed. As much as humans try to suppress the truth of God’s existence, the human mind is still aware of their moral accountability to Him. In relation to this passage, Paul says God’s revelation says is not hidden or concealed. The reason this revelation is clear is because God shows it to him. In other words, God makes knowledge of Himself available to man! The creation gives a cognitive knowledge of God’s existence but not saving knowledge. However, according to Romans 1:18-21, man is not left in ignorance about God. 1. The revelation of God in nature is mediate, but it is so manifest and so clear that it does not necessitate a complex theoretical reasoning process that could be achieved only by a group of geniuses. If God’s general revelation is in fact “general,” in that it is plain enough for all to see clearly without complicated cosmological argumentation, then it may even be said to be self evident. The revelation is clear enough for an unskilled and illiterate person to perceive it. The memory of conscious knowledge of the trauma encounter with God’s revelation is not maintained in its lucid, threatening state, but is repressed. It is “put down or held in captivity” in the unconsciousness. That which is repressed is not destroyed. The memory remains though it may be buried in the subconscious realm. Knowledge of God is unacceptable, and as a result humans attempt to blot it out or at least camouflage it in such a way that its threatening character can be concealed or dulled. (1) Sproul, R.C, Gerstner, John and Arthur Lindsey. Classical Apologetics: A Rational Defense of the Christian Faith and a Critique of Presuppositional Apologetics. Grand Rapids, MI: Zondervan Publishing.1984, 46-59). I am not at present concerned to explore Paul’s general claim that those who deny the Creator are wicked but only his more particular claim that they are intellectually dishonest. Notice that he does not criticize nonbelievers because they do not know about God but ought to. Rather, he criticizes them because they do know about God but pretend to themselves that they don’t. According to his account, we are not ignorant of God’s reality at all. Rather, we “suppress” it; to translate differently, we “hold it down.” With all our strength we try not to know it, even though we can’t help knowing it; with one part of our minds we do know it, while with another we say, “I know no such thing.” From the biblical point of view, then, the reason it is so difficult to argue with an atheist—as I once was—is that he is not being honest with himself. He knows there is a God, but he tells himself that he doesn’t. How can a person explain how he reached new first principles? By what route could he have arrived at them? To what deeper considerations could he have appealed? If the biblical account is true, then it would seem that no one really arrives at new first principles; a person only seems to arrive at them. The atheist does not lack true first principles; they are in his knowledge already, though suppressed. The convert from atheism did not acquire them; rather, things he knew all along were unearthed. (2) Geisler, N. L. and Paul K. Hoffman. Why I Am A Christian. Leading Thinkers Explain Why They Believe. Grand Rapids, MI: Baker Book House. 2001, 49). “For when Gentiles who do not have the Law do instinctively the things of the Law, these, not having the Law, are a law to themselves, in that they show the work of the Law written in their hearts, their conscience bearing witness and their thoughts alternately accusing or else defending them, on the day when, according to my gospel, God will judge the secrets of men through Christ Jesus.” (Romans 2:12-15). The Greek word for conscience is “suneidesis” which means “a co-knowledge, of oneself, the witness borne to one’s conduct by conscience, that faculty by which we apprehend the will of God as that which is designed to govern our lives; that process of thought which distinguishes what it considers morally good or bad, condemning the good, condemning the bad, and so prompting to do the former, and avoid the latter.” This type of natural revelation is called intuitive knowledge. It is instantaneously apprehended. The issue of moral knowledge is what C.S. Lewis discusses in The Abolition of Man. Lewis recalls that all cultures, Greek, Hebrew, Egyptian, Babylonian etc. show that natural revelation is true. In Romans 2:15, “suneidesis” stands alongside with the “heart” and “thoughts” as the faculty that allows the pagan world to live a life that corresponds to the Jewish people who have the written law. Before the time of Yeshua, and even after Yeshua, the Jewish people viewed the heart as the core of the entire personality. We see the conscience in Scripture: When Pharaoh hardened his heart (Exodus 8:15), Pharaoh steeled his conscience against God’s will. A tender heart (2 Chronicles 34:27), refers to a sensitive conscience. The upright in heart (Psalm 7:10), are those with pure consciences. When David prayed “Create in me a clean heart, O God, (Psalm 51:10), he was seeking to have his conscience cleansed. (6) The conscience can become dull, or seared (1 Tim 4:2). In other words, people can and do harden their heart towards God! Sadly, a hardened heart can make someone less sensitive to the things of God. In God’s desire to make himself knowable to mankind, he selected a people group in which he molded and shaped into service for his self-revelation. While this process was filled with trials and suffering, Israel became the vehicle whereby the Messiah came into the world and humanity was given the Scriptures (Rom 9:1-5). A few things shall be mentioned here: I am starting with these premises and conclusion. 2. The historical evidence of the New Testament shows that Yeshua is the God of Israel. 3. Therefore, there is reliable historical evidence that Yeshua is the God of Israel. While general revelation manifests God as Creator, it does not reveal Him as Redeemer. The principle of progressive revelation means that God does not reveal everything at once. In progressive revelation, there are many cases where the New Testament declares explicitly what was only implicit in the Tanakh. One of these truths is the Jesus is the long awaited Messiah who takes away not only the sins of Israel, but the entire world (John 1: 29; 3: 16). Although general revelation shows man is under condemnation, it is not sufficient for salvation. The ultimate special revelation that God has given to mankind is the person of Yeshua the Messiah. As Heb. 1:1–2 says, “God, after He spoke long ago to the fathers in the prophets in many portions and in many ways, in these last days has spoken to us in His Son.” Yeshua did comment on how people respond to Him by saying, “This is the judgment, that the Light has come into the world, and men loved the darkness rather than the light, for their deeds were evil. For everyone who does evil hates the light and does not come to the light for fear that his deeds will be exposed.” But he who practices the truth comes to the light, so that his deeds may be manifested as having been wrought in God” (John 3:19-21). Furthermore, the New Testament does not reveal Yeshua as any ordinary prophet or religious teacher. Rather, it reveals Him as God incarnate (John 1:1; 8:58-59;10:29-31;14:8-9;20-28; Phil 2:5-7; Col 2:9;Titus 2;13; Heb 1:8; 2 Peter 1:1). Furthermore, Yeshua is the only possible Savior for the human race (Matt. 11:27; John 1:18; 3:36; 14:6; Acts 4:12; 1 John 1: 5:11-12). While Christianity is a Jewish story and salvation is from the Jews (John 4: 22), Paul makes it know that there is no distinction between Jewish and non-Jewish people. Both are under sin and must turn to God through repentance and faith through Jesus the Messiah. (Rom. 3: 9; Acts 20:21). For those who have already rejected Yeshua as the Messiah, Yeshua states that they already under condemnation (John 3: 16, 18). “Therefore having overlooked the times of ignorance, God is now declaring to men that all people everywhere should repent, because He has fixed a day in which He will judge the world in righteousness through a Man whom He has appointed, having furnished proof to all men by raising Him from the dead” (Acts 17:30-31). The normative way God reveals Himself to all humans is through the proclamation of Yeshua as the Messiah by a specific individual who takes the initiative to explain the message of salvation to another. This matches up with the biblical data. There are cases in the Bible where people are sincerely religious but still had to have explicit faith in Yeshua as Savior and Lord. For example, in Acts 10, Cornelius is shown to be a God fearer. He worshiped the correct God. However, he received a vision with instructions to send for Peter and awaited his message (Acts 10: 1-6, 22, 33; 11: 14). Because Cornelius ended up responding to special revelation concerning Yeshua the Messiah, he attained salvation. In the Bible, people do experience salvation by the explicit preaching of the gospel (Luke 24:46-47; John 3:15-16;20-21; Acts 4:12; 11:14; 16:31; 1 Cor. 15:1-4; Heb. 4:2; 1 Pet.1:3-25; 1 John 2:23; 5:12). One of the largest obstacles in motivating people to obey the Great Commission is a fear of rejection, misunderstanding, or ridicule. Perhaps we forget that Paul wrote to Timothy, “For God has not given us a spirit of timidity, but of power and love and discipline” (2 Tim. 1:7). The fear of being rejected by people does not come from God. Since the primary role of the Holy Spirit is to magnify the person of Yeshua (John 16:12-15), He is faithful to enable us to share the gospel with the people He brings into our lives. The motivation for communicating the gospel is a compassion for people and a desire to bring glory to God. It is incumbent upon each follower of Yeshua to ask whether they will make a commitment to obey God. 1. Sproul, R.C, Gerstner, John and Arthur Lindsey. Classical Apologetics: A Rational Defense of the Christian Faith and a Critique of Presuppositional Apologetics (Grand Rapids, MI: Zondervan Publishing.1984), 46-59. 2. Geisler, N. L. and Paul K. Hoffman. Why I Am A Christian. Leading Thinkers Explain Why They Believe (Grand Rapids, MI: Baker Book House. 2001), 49). 3. Plantinga, A. Warranted Christian Belief (New York, NY: Oxford University Press. 2000), 214-215. 4. Marshall. I.H., The Acts of the Apostles. Tyndale New Testament Commentaries Grand Rapids: MI: Intervarsity Press. 1980), 288-290. What is the importance of Jesus being called the Son of David, the Son of God, and the Son of Man respectively? When it comes to messianic expectations at the time of Jesus, Christians can be unaware that other names were used to describe the messianic person other than the “Messiah.” Two of these names are “Son of God” and “Son of Man.” The “Son of Man” (bar nash, or bar nasha) expression is seen in Jesus’ earthly ministry (Mk. 2:10,28; 10:45; Matt. 13:37). But even in his earthly ministry, Jesus speaks of His authority on earth because the Son of man has received his authority from God in heaven (as depicted in Dan. 7:9–14). For example, Jesus says to the scribes who question his presumption in declaring the paralyzed man’s sins forgiven: “… that you may know that the Son of man has authority on earth to forgive sins” (Mk. 2:10). When it comes to the question as to whether Jesus is the Messiah, both Christians and Jewish people agree that the Messiah has to be a descendant of David. The area of disagreement is when Christians make the claim that Jesus is the divine, Son of God. What Christians tend to forget is that when Jewish people think of the Davidic King as the Son of God, it has very little to do with thinking the Son of God is the second person of the Trinity. In other words, at the time of Jesus,“Son of God” didn’t necessarily denote divinity. Even though divine sonship appears in the Jewish Scriptures with regards to persons or people groups such as angels (Gen 6:2; Job 1:6; Dan 3:25), and Israel (Ex. 4:22-23; Hos 11;1; Mal. 2:10), the category that has special importance to the Son of God issue is the Davidic king. While God promised that Israel would have an earthly king (Gen. 17: 6; 49:6; Deut.17: 14-15), he also promised David that one of his descendants would rule on his throne forever (2 Sam.7:12-17; 1 Chr.17:7-15). In other words, David’s line would eventually reach it’s climax in the birth of a person who would guarantee David’s dynasty, and throne forever. In Psalm 2 which is a coronation hymn, (similar to 2 Kings 11:12) is the moment of the king’s crowning. God tells the person to whom he is speaking that He is turning over the dominion and the authority of the entire world to Him (v 8). While David did have conquest of all the nations at that time, (Edom, Moab, Ammon, Philistia, Amalek, etc-1 Chron. 14:17; 18:11) in Psalm 2, one day God will subjugate all the nations to the rule of the Davidic throne. In this text, Paul says through the resurrection, Jesus is installed (by God) as the Son of God (Rom. 1:4). Paul is not saying Jesus is being appointed as The Son of God is a change in Jesus’ essence. Thus, Jesus is “designated” or “declared” as the Son of God, the Lord—the anti-type of the previous “sons” in the Old Testament (Adam, David, Israel). Paul’s goes on to reference Jesus as the incarnate Son who dies and is raised from the dead (see Rom. 5:10; 8:3, 29, 32; Gal. 1:16; 4:4–6; Col. 1:13; 1 Thess. 1:10). To summarize, Jesus did consider Himself to be both the unique Son of God and the Son of Man.When we understand the cultural context of these names for the Messiah, it becomes evident that Jesus is both divine and human. Because of this, He is the only one who can provide both atonement for our sins as well as a covenantal relationship with God through his death and resurrection. The scriptural answer to your question is that when you read the Jewish Scriptures/The O.T., we see in many cases, Israel was in unbelief. Their entire history was about God giving them covenants, and they obviously would break the Law/the Torah and God judged them every time. They were exiled outside the land on a number of occasions. The prophets always were sent to them to call them to repentance. So it is not as if Israel was always faithful. They had a long history of rejection. Even after the giving of the Torah, they fell right back into idolatry. Also, there is no specific text/texts in the O.T. where it says they all would understand and embrace the Messiah when he comes. As far as prophecy, the Abrahamic Covenant was prophetic. In this sense, there are several aspects of the covenant such as land promises, etc. But as far as Gentiles, they are supposed to receive spiritual blessings, but ultimately these were fulfilled though one specific “seed” of Abraham—the Messiah. True Israel are those that are circumcised in heart (see the rest of Romans as well). However, Romans 11: 12 indicates a staged progression in blessing the Gentiles. God allowed for a large portion of Israel to reject the Messiah, so that the “riches” Gentiles are experiencing now during the state of Israel’s “stumbling” will escalate with the “full number” of national Israel’s salvation (see Rom. 11:26). Paul talks about this mystery in Romans 11. Israel will be grafted back in when the fullness of the Gentiles leads it to respond (Rom 11:11-12; 15, 30-32). Also, given Israel’s calling it should be no shock that in Ephesians 2: 11-3:6, the Gentiles recipients are addressed as those who were formally without the Messiah. They were “aliens from the commonwealth of Israel, and strangers to the covenants of promise\, having no hope and without God in the world” (Eph. 2: 12). So Israel was already near (Eph. 2:17), but the good news is that now along with Gentiles they even brought closer to God (Eph. 2:18). So through a believing Jewish remnant, we now have over 1 billion non-Jews that have come to know the one true God. So Jesus is the only Jew that has helped over 1 billion non-Jews come to know the one true God. No, large numbers don’t make something true. But given the prophetic nature of the Abrahamic covenant, this is something that should not be discarded. Remember, the Bible speaks of a suffering/atoning, rejected Messiah: (Psalm 22; 118: 22; Isaiah 52:13-53.12, Daniel 9:25-26, Zechariah 12:10) and well as a the ruling/kingly Messiah: (2 Sam 7:10–14; Pss. 2:7; 72:1 Pss. 89:4, 26, 35–37; 132:11–12, 17–18; Dan 7:13). As far as Jewish people not accepting their Messiah, remember, a large majority of them have never looked into it. Most of my Jewish friends couldn’t give me one reason as to why they reject Jesus. It is more of a cultural identity issue. Rejection of Jesus and is now part of their identity. Remember, most of Judaism today is also a reaction to Christianity. Granted, there was no Christianity when Jesus and Paul were here and the Christianity many Jewish people are reacting too is a “dejudaized” Christianity. It is a much later version. The Judaism of today is Rabbinic Judaism which is an outgrowth of Pharisaical Judaism. Also, many Jewish people don’t even think God exists. Trust me, I know because I have done campus ministry for 15 years. You don’t have to believe in God to be Jewish. So if there is no God, why care about a messiah? In this post we will discuss punitive supersessionism, in which God abrogates his covenant with Israel as a punishment for their rejection of Jesus. Punitive supersessonism has mostly resulted from Gentile Christians assuming the destruction of Jerusalem in AD 70 and 135 are God’s permanent rejection of Israel. According to Philip S. Alexander, the AD 70 destruction of Jerusalem handed Christians “a propaganda coup” in that it gave them the opportunity to argue that the catastrophe was “a divine judgment on Israel for the rejection of Jesus.” (see Philip S. Alexander, “‘The Parting of the Ways,’” in Jews and Christians: The Parting of the Ways A.D. 70 to 135, ed. James D. G. Dunn (Grand Rapids: Eerdmans, 1999), 20. “There is little doubt that the very earliest Christians were, in fact, Jews. They believed that Jesus of Nazareth was the long-awaited Jewish Messiah who would fulfil God’s extensive promises to Israel and usher in the kingdom of God. Thus, Jesus was understood quite naturally within the categories. Sure, something new was happening with Jesus – the inauguration of a new covenant, in fact (Luke 22.20). But the first Christians would not have conceived of this as the beginning of an entirely new religion; on the contrary, they would have seen it as the completion of something very old, namely the story of God’s dealings with Israel (cf. Jer. 31.31). Thus, early Christians were quite content, at least at first, to continue worshipping at the Temple (Acts 2.46) and following the laws of Moses.” –Michael Kruger, Christianity at The Crossroads, How the Second Century Shaped the Future of the Church. Furthermore, regarding Matt 21:43,if we read it in context, the “you” of Matt 21:43 is identified in Matt 21:45 not as Israel or the Jewish people but as ‘the chief priests and the Pharisees,”—the temple authorities who confronted Jesus in Matt 21:23-27. The “people” referred to in Matt 21:43 is not the church in contrast to the Jewish people, but the new leadership group that will replace the old.Thus, Jesus is judging the corrupt leadership. If we read Matt 21: 45, it is clear the leadership even knew Jesus was speaking to them. Furthermore, Craig Keener notes that “nation” here probably recalls Ex 19:6 and strict Jewish groups that characterized themselves as “righteous remnants” within Israel (e.g.,Qumran) could also view themselves as heirs of the biblical covenant community. In this period “ethnos” applies to guilds, associations, social classes or other groups or even orders of priests: urban Greeks used the term for rural Greeks, the LXX for Gentiles, and Greeks for non Greeks. Matthew implies not rejection of Israel but of dependence on any specific group membership, be it synagogue or church (The Gospel f Matthew: A Social Rhetorical Commentary), pgs,515, 516. We already mentioned Romans 9-11. We know anyone that has read Romans 9-11 knows no possibility of Paul teaching Israel’s rejection by God. Now when I say rejection, I mean the consequences of God’s judgment on Israel would mean Israel, was an the “earthly” people of God in the Old Testament, has been replaced, expanded, or fulfilled in the divine plan not by another “earthly” people or peoples, but by a “spiritual” people, the church of the New Testament. But to assert this, we need to remember that by the time Paul wrote the letter to the Romans (about 57 C.E. ), it was clear that most Jewish people at that time were rejecting Jesus as the Messiah. Paul called them branches of the cultivated olive tree which had been cut off. Yet he warned the Gentile believers that they must not take undue pride in being grafted into the olive tree or think themselves better than the cut-off branches, since they hold their position only by faith and without it will themselves be cut off. But regarding Romans 9-11, despite Israel’s unbelief in Jesus, “God did not reject his people, whom he foreknew” (Romans 11:2). Israel remains God’s beloved chosen people “on account of the patriarchs” (Rom. 11:28). Paul also says God’s gifts and callings to Israel are irrevocable (Rom 11:29). Also, in Romans 11, the “riches” Gentiles are experiencing now during the state of Israel’s “stumbling” will escalate with the “full number” of national Israel’s salvation (see Rom. 11:26). The 10 references to “Israel” in Romans 9-11 refer to ethnic/national Israel so the Israel who will be saved in Rom 11:26 must refer to ethnic/national Israel. 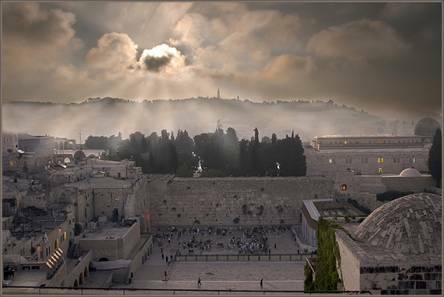 Israel will experience a national restoration and salvation at some point in the future. It is clear that the Lord made the new covenant with the house of Israel and the house of Judah (see Jer. 31:31–34, quoted in Heb. 8:8–12) and not with the nations of the world, which leads us to ask the question: How do Gentiles get to partake in the new covenant? In response, God’s plan for Israel was to be a light to the nations and be a conduit for Gentiles to come to faith in the one true God. The only way Gentiles get to partake in the new covenant is that they grafted in as Paul talks about in Rom. 11: 13-24.. Israel will be grafted back in when the fullness of the Gentiles leads it to respond (Rom 11:11-12; 15, 30-32). As we just said, in punitive supersessionism, God abrogates his covenant with Israel as a punishment for their rejection of Jesus. But this view seems to contradict Romans 9-11. Furthermore, by the time Paul wrote the letter to the Romans (about 57 C.E. 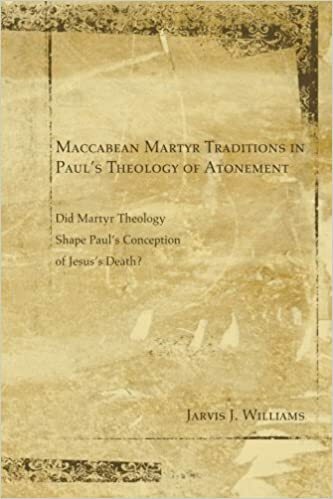 ), it was clear that most Jewish people were rejecting Jesus as the Messiah. In Romans 11, Paul called them branches of the cultivated olive tree which had been cut off. Yet he warned the Gentile believers that they must not take undue pride in being grafted into the olive tree or think themselves better than the cut-off branches, since they hold their position only by faith and they can be cut off as well. Thus, Jewish people who have rejected the Messiah (cut-off natural branches), and Jewish people who have come to faith in the Messiah, (natural branches attached to the tree), and Gentile believers (grafted-in wild branches) each have their own kind of ongoing participation in the one Israel. If anything, punitive supersessionism is a display of Gentile boasting that Paul had warned about. In the next post, we will pick up the controversial topic of Zionism and why Christians are divided on the topic. We just noted that “structural supersessionism” says Israel’s special identity as God’s people is simply not an essential element of the “foreground” structure of the canonical narrative itself. There has been a slew of books that attempt to help readers understand the grand narrative of the Bible. Books such as Living God’s Word: Discovering Our Place in the Great Story of Scripture, by J. Scott Duvall and J. Daniel Hay, or The Mission of God: Unlocking the Bible’s Grand Narrative by Christopher Wright are just a few of them. There is no doubt that once Christianity became a ‘separate’ religion outside of the Jewish world, one of the primary ways it began to define it’s belief system was through the use of creeds and confessions. It is noteworthy that the two greatest creeds, the Apostles’ and Nicene, jump from creation and fall to redemption through Jesus without even mentioning the history and people of Israel. I will offer two pictures to show the difference. “Does Jesus the Jew—as a Jew—have any impact on Christian theology and on Jewish-Christian relations? . . . To wrench Jesus out of his Jewish world destroys Jesus and destroys Christianity, the religion that grew out of his teachings. Even Jesus’ most familiar role as Christ is a Jewish role. If Christians leave the concrete realities of Jesus’ life and of the history of Israel in favor of a mythic, universal, spiritual Jesus and an otherworldly kingdom of God, they deny their origins in Israel, their history, and the God who loved and protected Israel and the church. They cease to interpret the actual Jesus sent by God and remake him in their own image and likeness. The dangers are obvious. If Christians violently wrench Jesus out of his natural, ethnic and historical place within the people of Israel, they open the way to doing equal violence to Israel, the place and people of Jesus.”- A. Saldarini, “What Price the Uniqueness of Jesus?” Bible Review, June 1999: 17. Print. The other problem with structural supersessionism is it can lead to an unnecessary divide between both Testaments. We can tend to forget there was no New Testament at the time of Jesus. Paul stated: “All scripture is given by the inspiration of God and is profitable for doctrine, for reproof, for correction, for instruction in righteousness: that the man of God may be perfect, thoroughly furnished unto all good works” (2 Timothy 3:16-17). Here “Scripture” (graphē) must refer to the Old Testament written Scripture, for that is what the word graphē refers to in every one of its fifty-one occurrences in the New Testament. N.T. Wright is one of the most popular New Testament theologians today. A ways back, he wrote a popular book called “Surprised by Hope: Rethinking Heaven, the Resurrection, and the Mission of the Church. In this book, he rightly noted that Christians have forgotten that the final destination for the Christian is not heaven. 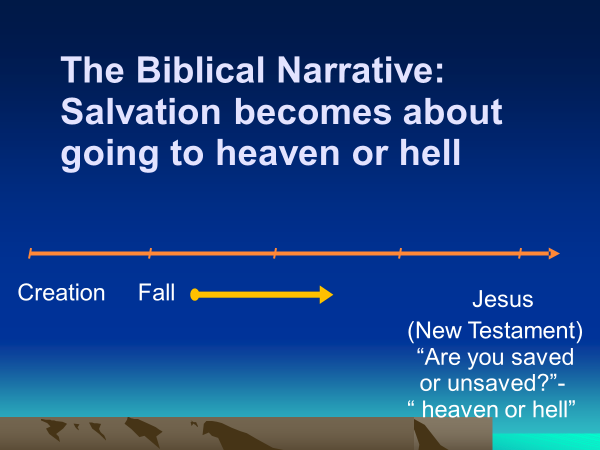 But instead, salvation in the Bible is not the deliverance from the body, which is the prison of the soul. The believer’s final destination is not heaven, but it is the new heavens and new earth- complete with a resurrection body. 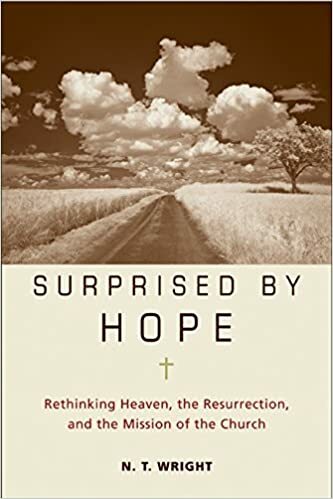 Wright notes that while heaven is wonderful, resurrection is even better. Thus, as Wright says, resurrection is “life after life- after- death.” With this corrective, many Christians now realize they will eventually be on a renewed earth. With Wright’s corrective, a slew of books has emphasized that God has called humans to be priests and stewards of the physical environment of the earth, and not to be fixated with our souls that are hopefully on a journey to a disembodied heaven. But, the question becomes the following: if God’s covenant with humanity eventually will be finalized on a renewed earth, are there geographical boundaries of any kind? And if so, does Israel exist as a nation and does the land called ‘Israel’ exist? I have come across more than enough Christians who say there is no purpose with the land of Israel. Thus, when Jesus came, the land has no present nor future significance in the mind of God. It is no more different than Africa, Russia, or any place else. 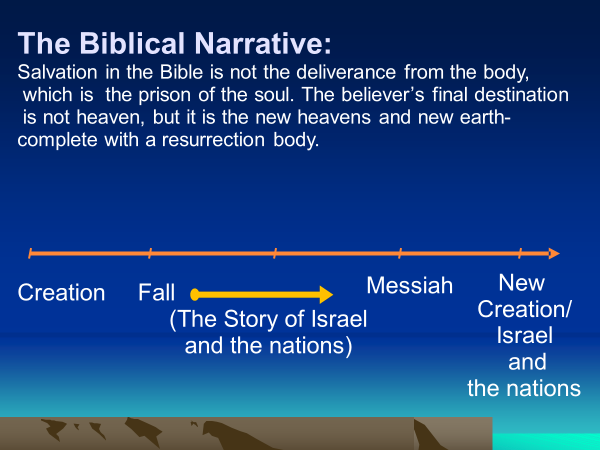 But for those that have written Israel out of the canonical narrative, where is Israel in the new heavens and new earth? Rev 21: 1 discusses the new heaven and earth (also see Isa. 65:17–25; 66:22–23; 2 Pet. 12-13). But if the new creation has a place for the earth, and especially for resurrected human life living under the lordship of the Messiah, what about the political landscape of the new creation (Rev. 21: 22-22:4)? What tends to be forgotten is the Bible has always been a story of God, Israel, and the nations. The words “goyim” and “ethnos” refer to “peoples” or “nations” and are applied to both Israelites and non-Israelites in the Bible. In the eschaton, Israel is still in the picture along with the nations. You can’t have one without the other. After all, where does Jesus come back to? California? Russia? Or Jerusalem? The basic geography will remain so that Israel and Jerusalem will retain their distinctive prominence (Zech 14:8–11; Matt 19:28). Hence the heavens and the Earth will not be brand new but renewed.